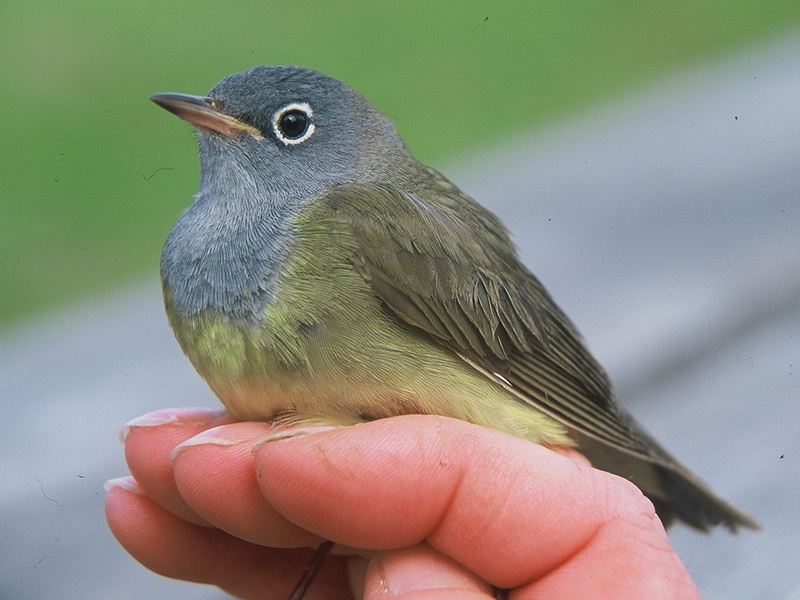 The Supreme Court heard a case a few days ago that I think is of special relevance to birders. It's about the unreliability of eyewitnesses and the power of suggestion. One early morning in New Hampshire, a woman looked out her fourth-floor window and saw a "tall black man" breaking into a neighbor's car. While talking to a police officer in her apartment later that morning, the woman pointed from her window to a tall black man who was standing in the parking lot speaking with another police officer, and identified that man as the robber. When asked to select the robber's photo from out of a lineup, the woman could not do it. The impact of eyewitness testimony on a jury is strong and well documented. Equally as well documented is the unreliability of witnesses. Lawyers in this New Hampshire case argue that the woman's testimony be thrown aside, claiming her identification was based upon the fact that tall black man was talking with a police officer when the woman identified him as the robber. The mere fact that the cop and the man were talking, it's argued, was enough to "suggest" to the woman that the tall black man was the tall black man. Does this have anything to do with birding? No. Haha I mean yes, this is a birding blog of course it does. Birders are "suggested" of ID's all the time. We use the term often to try to nudge ourselves in one direction or another, as in "the distinct eye-ring suggests Alder over Willow Flycatcher," or "primary length suggests Short-tailed Hawk" (Okay, I don't get to say that all the time but I wish I did). We also get suggestions from other birders. When chasing after a rare bird we are really only chasing after someone's suggestion that the bird is in a certain spot. Usually, the effect is minimal: if someone reports an Ivory Gull at the wharf, and you go down and see an Ivory Gull there, everything's fine. A closer call may be the example of selasphorus hummingbirds found at a feeder in Maryland in November. Say a birder got a great picture of the tail feathers and wrote to the listserv that the bird was a Rufous. Subsequent birders visiting the site are likely to call the bird a Rufous, regardless of whether they get their own pictures or otherwise ID the bird themselves. It happened to me: last year I visited a Mississippi backyard famous for its overwintering hummingbirds. When my friend and I arrived we were told by the homeowner that Allen's and Ruby-throated were currently visiting the feeders. We saw both species, got photos and left. Later we heard that hummingbird banders had visited the yard that same afternoon and had caught the Allen's and an Anna's hummingbird - but no Ruby-throated. By looking at the photos and comparing the placement of the few remaining gorget feathers on the Anna's, we determined that it had been the bird we saw in the morning. We may not have been able to ID the Anna's without capturing it, but because of the suggestion of the homeowner that the bird was just a Ruby-throated, we didn't even try. I believe the the power of suggestion also applies to birding listservs. When a species is reported on a listserv, especially a slightly-unusual bird, it gets placed on (or moved up) the mental radar of local birders who, I'll argue, are 1) more likely to see the bird, or 2) more likely to think they see the bird. I'm thinking of two species in particular: Connecticut Warbler and Clay-colored Sparrow. Both of these birds have similar-looking species - first winter and nonbreeding Chipping Sparrows for the Clay-colored and other oporonis warblers for the Connecticut - and both have a small window of migration during which they are usually seen on the East Coast. From watching the listservs, I know that both species were also publicly misidentified several times. My assumption is that misidentification was aided - nudged - by the fact that at the time of the mistaken sightings, each species had been reported at a number of other sites in the area. I think it's likely that since the birders heard the suggestion that Clay-coloreds or Connecticuts were in the area, they were more likely to rule in favor of that species instead of one of the similar species. Or of course it could just be the simple errors associated with getting quick looks or blurry photos. Birders - especially myself - make mistakes all the time. But birders also know that finding and identifying birds requires using all the information we can get. Some usable information might be that "these birds are being seen around here now." However, letting other people's sightings suggest for us our own, like the women in New Hampshire possibly being suggested by the presence of a cop that the man on the street was the robber, can lead to misidentification.